In Italian communities they refer to them as frazioni, in Hispanic communities they refer to them as barrios and in many English communities they refer to them as boroughs. However, across most of America we refer to them simply as neighborhoods. We begin with a blog series defining TRG Communities’ style. 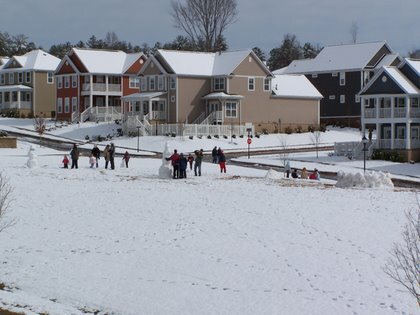 One of the invaluable ingredients in every TRG community is creating a neighborhood lifestyle. When a family moves into their next home they are moving into more than just a brick and mortar house, they are moving into a lifestyle. In every community we are creating places for people to live, work, raise a family and enjoy certain quality of lifestyle. Cultivating a neighborhood lifestyle has several key characteristics that don’t come easily. First it is filled with countless functional attributes, which includes mixed-use design and meaningful community amenities. At Foxbank Plantation this is seen in the intentional design of our built and proposed plans for numerous parks, a resort-style pool, an elementary school, places of worship, cafes, and convenient stores all within easy access to our residential homes. Secondly, a neighborhood lifestyle is filled with thriving social interactions and active community involvement. 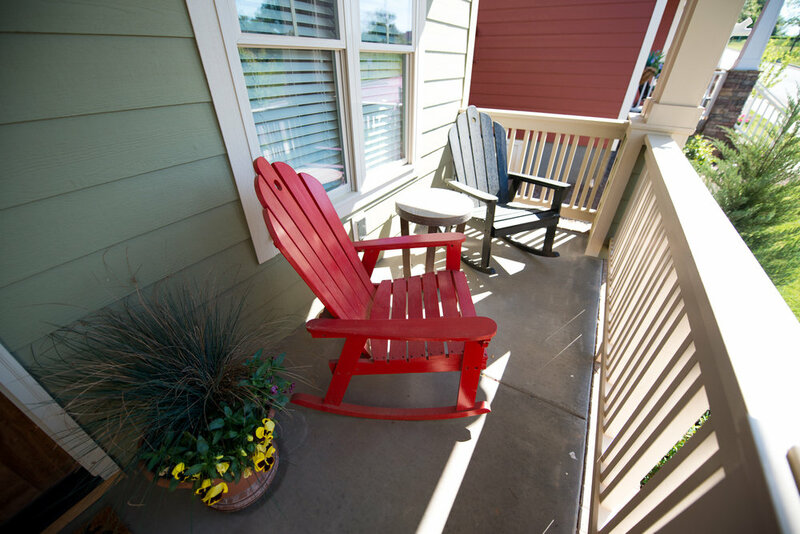 Inviting front porches, spacious sidewalks, and convenient community amenities, are all designed to naturally cultivate social interactions. However, this is also seen in intentional programming with active neighborhood associations, community farmers markets, or concerts in the park. Research also shows that an involved and active community creates a safer and healthier neighborhood too. At our Verdmont community, we support a community farmers market at the neighborhood pavilion, where neighbors come together over fresh and local foods. Lastly, a neighborhood lifestyle is cultivated through beautiful and inspiring design. Beautiful design always encourages a neighborhood lifestyle whether it is an inspiring streetscape of homes where couples enjoy a brisk evening walk or a sprawling central park where parents play catch with their son or daughter. Without an inviting or imaginative community, residents remain residents and neighbors never become neighbors. In our Carilion community it’s tough to stay indoors during this beautiful fall season. Neighbors come together over a community barbeque or just a back to school pizza party. 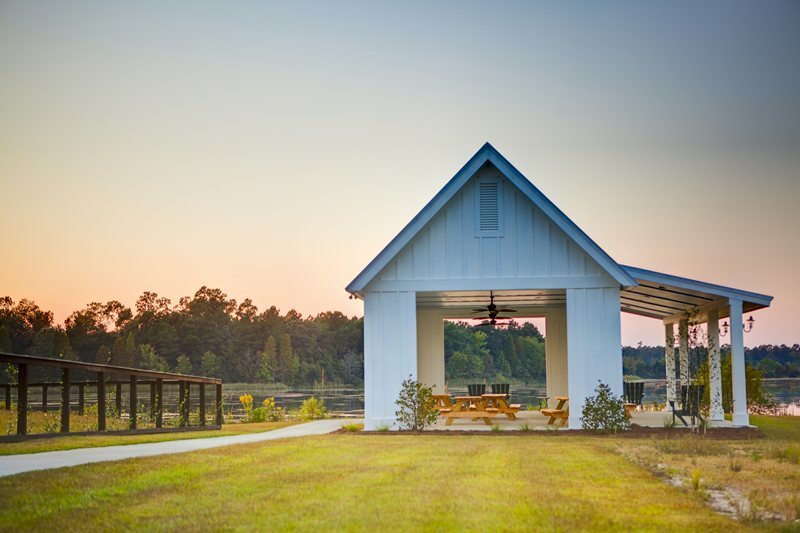 Creating that neighborhood lifestyle is seen in each of our communities by a focus on building functional attributes, cultivating community involvement, and creating inspiring design. All communities are not created equal. Communities with a rich and dynamic neighborhood lifestyle we know create value for you, your family and your home. So when you are looking for your next dream home in your next dream community, be sure to experience the vibrant neighborhood lifestyle in every TRG community.